Living life on the edge of the night, people come in different colors. FAX's (Rubén Alonso Tamayo) musical career has already spanned a decade and he is one of the most prolific electronic music producers in México. 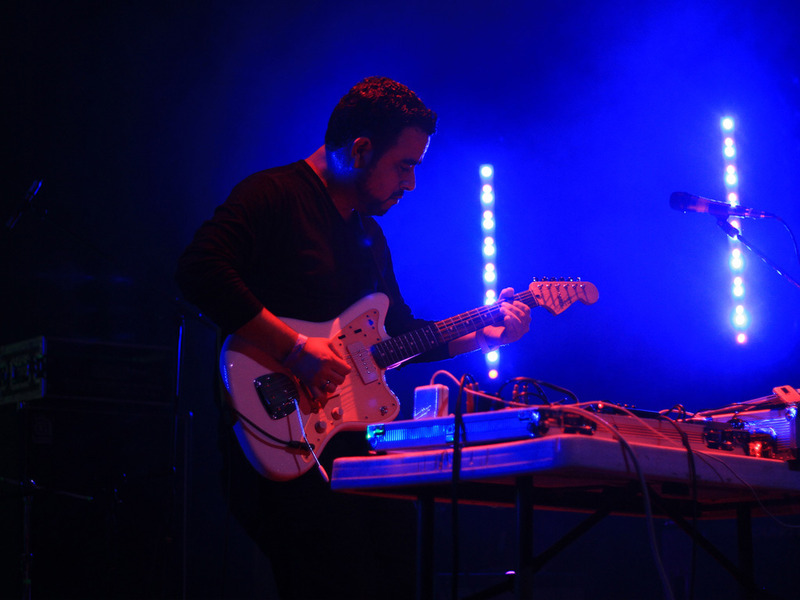 Starting in the mid nineties as a guitarist for shoegaze bands like Fieles Difuntos and Aural in his home city of Mexicali, FAX turned to experimental dance electronic music, inspired by the early minimal techno of Cologne in the late nineties. In 2002 he debuted with Resonancia, while at the same being the co-founder of Static Discos, the label that has released most of his output. Resonancia is considered as one of the first albums of minimal techno in México, this caught the attention of Triple R of Traum Records in Germany, which released his first 12" vinyl during the same year. The California label, Rocket Racer, also published a Mini-CD around the same time. FAX was one of the first Mexican artists invited to play the MUTEK festival in Montreal, after Murcof, in 2004. Since then, FAX has graced the stages of DECIBEL Festival in Seattle, CMKY in Boulder Colorado, Benicassim in Spain and many clubs in México and in the international circuit. FAX was honored in 2006 with a Qwartz Electronic Music Award for "Best Compilation" with his Collaborations and Remixes album on Static Discos. His constant music making has enabled FAX to stay relevant to the constant changes in electronic music. His dozens of remixes for other electronic musicians in México and overseas has made FAX one of the most respected artists in his country. With almost a dozen albums and EP's of original music and remixes plus a live album, FAX has one of the most extensive catalogs by a Mexican electronic music artist. His most recent release for Static Discos, was the album Zig Zag in 2010. His sixth studio album, Circles was published in 2012 by the French imprint SEM Label, the electronic music label headed by musician Alexandre Navarre. In the meantime FAX is keeping busy, playing guitar for the post-rock band Letters From Readers in Mexicali. Rubén Tamayo is also responsible for most of the artwork in the Static Discos catalogue. Rubén has also designed record covers for other labels, such as Abolipop in México and The Leaf Label in the UK.